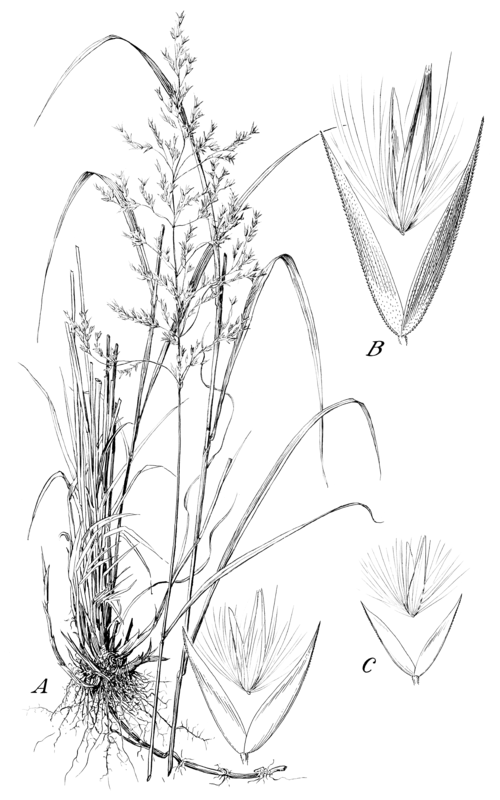 Calamagrostis canadensis is a perennial C3 grass (Reich et al. 2003), to 1.5 m tall, aggressively colonial from rhizomes, stems clumped, often branched above, hairless. 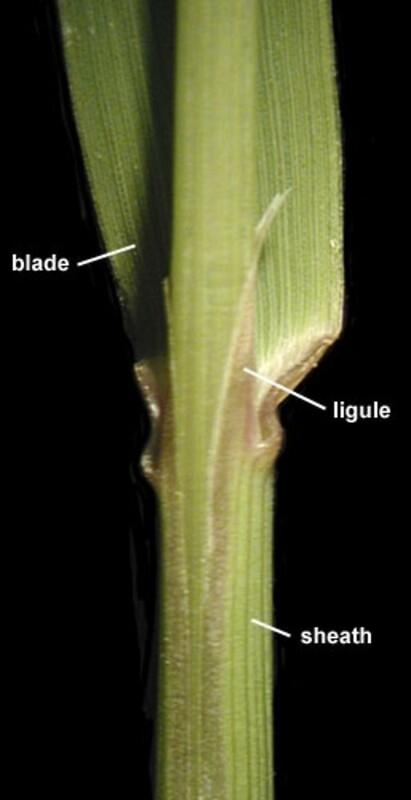 Calamagrostis canadensis leaf. By Anna Gardner. Copyright © 2017. Ada Hayden Herbarium, Iowa State U. New England Wild Flower Society. gobotany.newenglandwild.org (Accessed 11/2017). 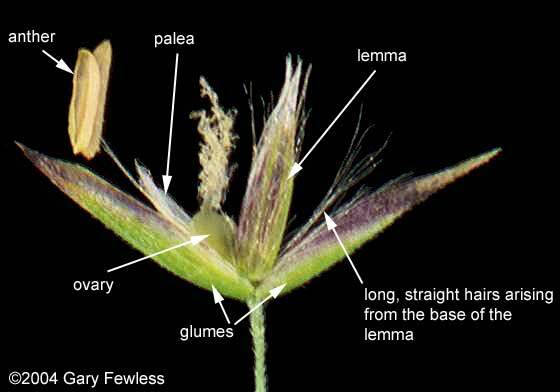 Flower spikelets one-flowered, 0.2-0.6 cm long, jointed above glumes (glumes remain on inflorescence); glumes almost equal, lemma membranous, tip toothed, long-hairy at base, hairs about as long as lemma, awn arising from back of lemma; inflorescence dark gray to greenish, branched, open to somewhat dense, 8-25 cm long, often nodding, branches 3-8 cm long; blooms and fruits June-Aug.
Calamagrostis canadensis spikelet. ©2004 Gary Fewless. Cofrin Center for Biodiversity, U. Wisconsin at Green Bay. uwgb.edu (Accessed 11/2017). Frequency in NYC: Apparently very infrequent. Notes: Often planted in wetland restorations.